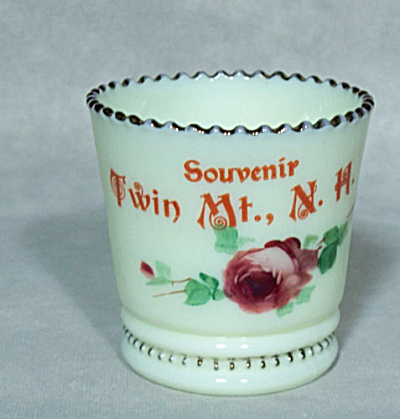 This custard glass New Hampshire souvenir of Twin Mt, N.H. stands 2 1/2 inches tall and is 2 3/8 inches wide at the mouth. It is the Ring & Bead pattern of Jefferson, produced about 1910-1915. Excellent condition.